All aspects of Radiation oncology, including innovative technology, brachytherapy, and cranial/extracranial stereotactic radiosurgery/radiotherapy. For more information, please visit http://radiationoncologyassociates.co/. Charles E. Wadsworth, P.A., M.P.A.S. Douglas H. Ludeman, Jr., M.D. Gary B. Bokinsky, M.D., F.A.C.S. J. Daniel Pennington, M.D., Ph.D.
Jo Anne D. Walker, M.D. Joseph H. Ellen III, M.D. Judy L. Chin, M.D., F.A.C.R.O. Katherine M. Oxford, D.P.T, O.C.S. Laura M. Broman, M.S., P.T., A.T.C. 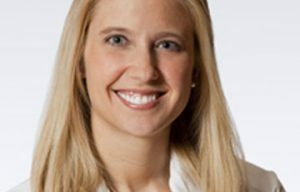 Quinn K. Lippmann, M.D., M.P.H., F.P.M.R.S. Richard G. Rento II, M.D. Robert T. Nelson, Jr. M.D. Wilson C. Merchant III, M.D. I truly had an excellent experience with everyone I encountered during my first visit. Everyone from check in, the nurse, Dr. Monahan, the xray department and the girls that scheduled my procedure were fantastic. I was shocked at the efficiency of the whole process to diagnose my issue and create a plan and schedule my procedure. I never felt rushed but was able to be seen quickly and have all of my questions answered. It was great! I actually told my family, coworkers and even neighbors about the great care I had at Virginia Urology. Thank you!!!!! I especially appreciate the organization and attention to needs of the patient. It's obvious that the practice employs the latest in technology applications and solutions to effectively and efficiently manage patient health information and communicate with patients. It is a well run operation in a convenient location for me. The environment is pleasant. You seem to have respect for the fact that my time has value. Thank you so much for your professionalism and expertise in my surgery today! What a great team you have working with you. From my perspective as a patient, things could not have gone better and I wish you and your staff all the best moving forward. Thank you for performing an incredible surgery on me. You both have a passion for your profession and it shows through your level of expertise and surgical skill. You have made me a whole man again. The entire experience was great. Everyone from the administrative, medical and surgical nurse staff were sensational. The common thread was competency and compassion. I, also, have never seen a business run so smoothly and efficiently, with the goal being exceptional patient care. It was truly remarkable. The patient is the undeniable beneficiary. In particular, I say a special “thank you” to Nurse Mary, Nurse Jane and Nurse Brooke. They took care of me like I was family. The surgical nurses performed like a highly skilled military unit. And they were so competent and compassionate, as well. Life is a search for happiness. All of you are now a part of my family of happiness. Very, very efficient. Ran like a well oiled machine. We are from Ga. My wife and I both commented on how quickly everything was handled. Probably the best experience ever at a medical facility. Everyone did their part. Great place. Doctor was very approachable and comforting; lab technicians were relaxed, friendly and clear about procedure; office is convenient to home and work. Everyone is always so friendly and helpful. Moreover, my physician takes my concerns seriously and puts his all into trying to figure out what is wrong with me. (I) have been a patient of Dr. Morgan for about 25 years and have never had any complaints about him or his services. (I) feel you have the best doctors and that is the most important thing. I saw Dr. Ludeman on Monday and Dr. Rhamy on Wednesday for the first. I was quite impressed with both. I have been in the medical industry for fifty years and been in the best hospitals nation wide, my experience at your facility is better than any I have viewed in these many years. You all should be commended! All of the staff that I encountered treated me with the up most respect. I was very, very, very pleased with everything. I wish all doctors office/surgery centers could follow your way of doing business. Had not been to a urologist since college and was dreading appointment; 35 years later, the experience was well above my expectations. All of my contacts with your staff, clerical, nurses and doctors have far exceeded my expectations. They have been the most caring and professional medical group I have ever had the pleasure to deal with. THANK YOU ONE AND ALL!!!!!!! I really like Dr. McMurtry, and the staff at VU moves everyone along for their appointments with little time wasted. They all do a wonderful job. Dr Bokinsky is the BEST doctor and we were so blessed to have him taking care of my husband. I am also thankful that I was able to be with my husband in the exam rooms and waiting with him before and after surgery. We would recommend our Doctor and Virginia Urology to everyone for great care! Thanks so much. Everyone has been so nice to my husband and me – we have never had such a good medical experience anywhere else in Richmond. My husband’s treatment at Virginia Urology has restored our faith in the medical profession. The staff was wonderful, could not be more courteous or efficient. I was running late because I could not find your building and the patient representative met me at the door to take me back to where I needed to go. They were all so nice and professional! Please thank your staff for their excellent services. The entire surgical staff was very professional and courteous. I was very pleased that special attention was paid to my comfort. This letter does not adequately express my appreciation for the team at Virginia Urology, which in my opinion, is the best in the business. I have been a patient for over 20 years and without this excellent team and my doctor – I would not be here now to write this letter. So it is impossible to single out just one individual who has gone above and beyond in helping me. Everyone has been terrific and patient with me. I am a lucky man, in many ways. Virginia Urology is a very impressive organization. Everyone I met was cheerful and kind. You all were being very careful and diligent in double checking all of my information. I was favorably impressed. Your facility has the most helpful and kindest staff of any doctor’s office I have ever been to. Everything went like clockwork. No waiting, issues addressed in a very timely manner. The X-Ray staff was excellent. Since my treatment started with Dr. Gowda in September, I have found everyone to be exceptionally friendly, helpful and courteous. I have already recommended Dr. Gowda and staff to my friend and she has an appointment. Carol Gruber, NP is a lovely and wonderful person and very knowledgeable. I have complete trust in her! The staff garners an A+! Stay current on breaking news, events and health tips from Virginia Urology. We are dedicated to keeping Virginia healthy. Sign up for our email newsletter.